This Geneva-wide event highlights local culinary excellence. Enjoy an entire week of discounted dining at some of Geneva’s finest restaurants, no coupon or ticket necessary. Just mention to the server at one of the participating restaurants that you'd like the Restaurant Week offering. See the full listing of offerings at genevachamber.com. 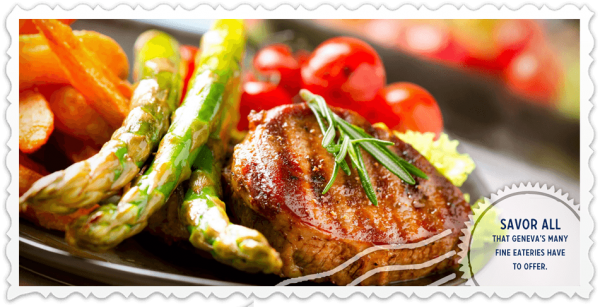 $9 - Any entrée on the menu, plus choice of dessert OR (for those over 21) a mimosa or glass of wine. 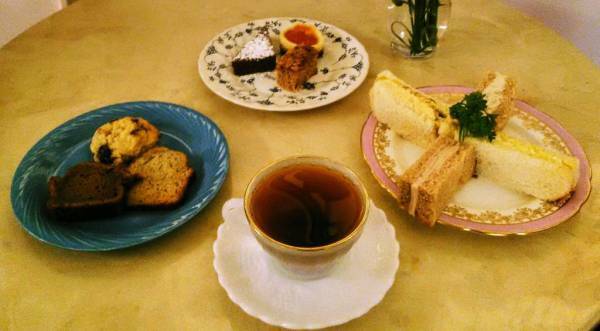 $19 - Three Course Afternoon Tea* for 2 people, served 2-4pm Monday-Saturday. $29 - Three Course Afternoon Tea* for 3 or 4 people, served 2-4pm Monday-Saturday. 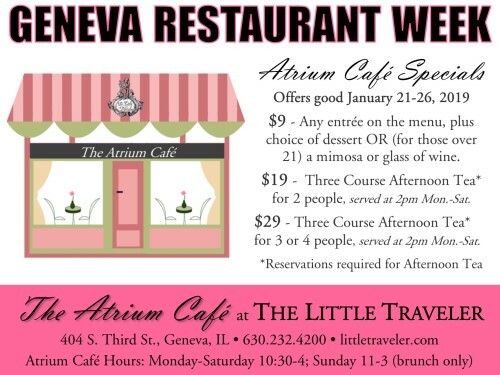 *Reservations required for Afternoon Tea—during Geneva Restaurant Week, they can be made up until noon the day of.